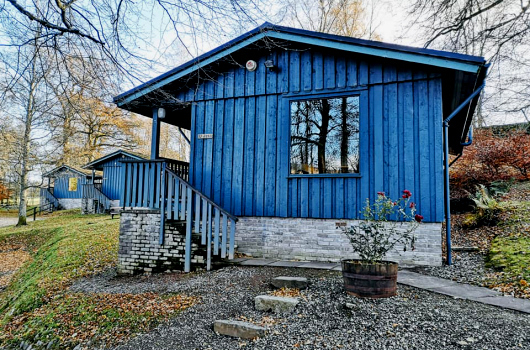 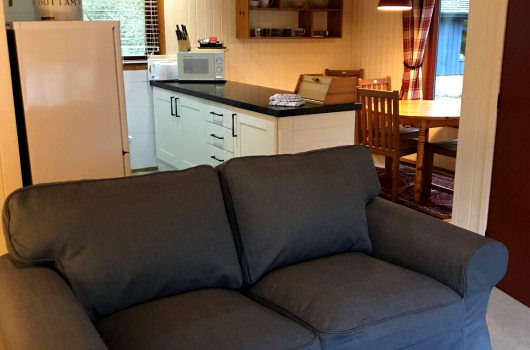 These five Scandanavian built lodges provide ideal self-catering holiday cottage accommodation for either four adults or two adults plus two or three children. 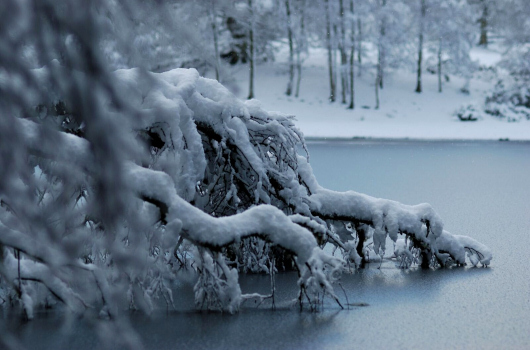 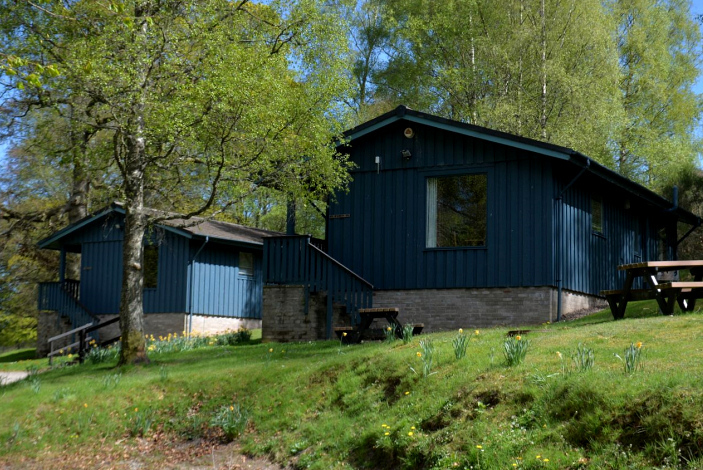 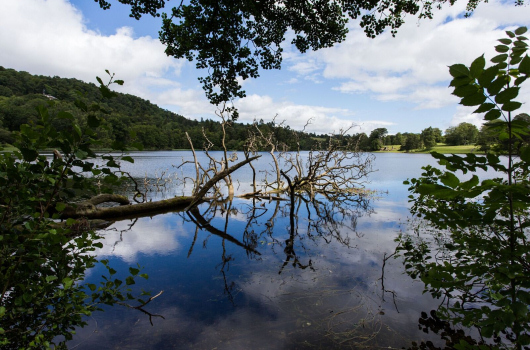 Set around Loch Monzievaird, they are perfect for a self-catering holiday near Crieff in Highland Perthshire. 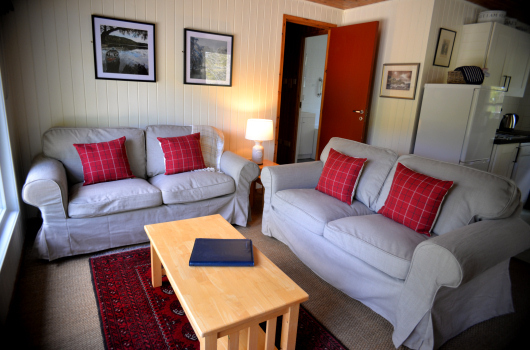 Open-plan living / dining room with table seating four guests, comfortable sofas, colour television and DVD player. 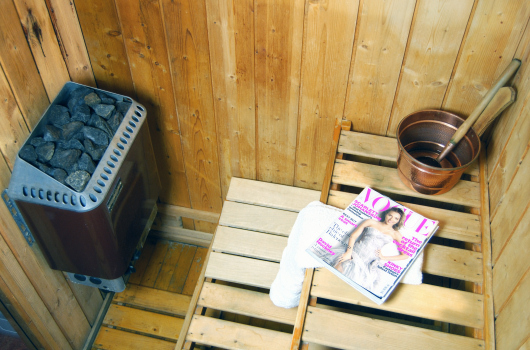 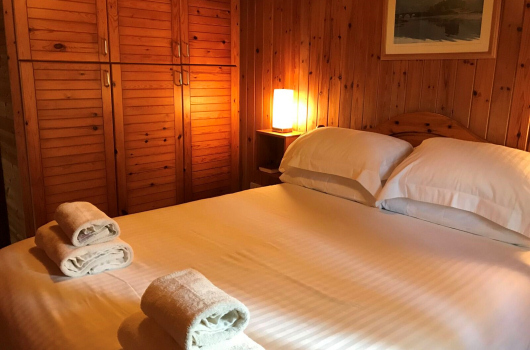 One double bedroom (Chalet 24 has the option of two double bedrooms). 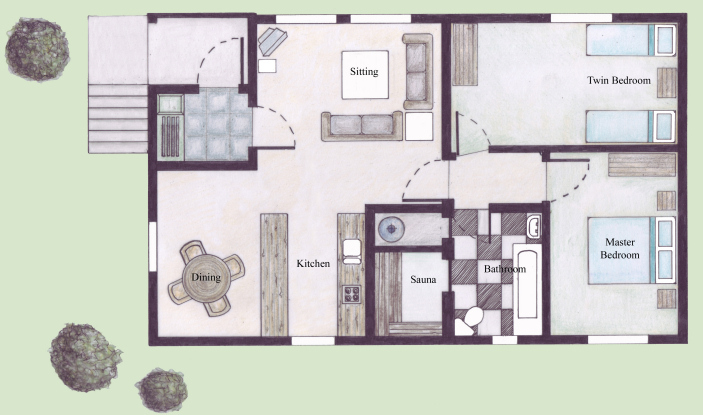 One spacious twin bedroom with space for a z-bed. 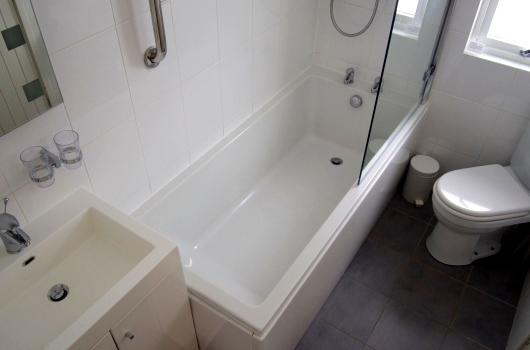 Bathroom with bath, shower over bath, sauna, toilet and basin. 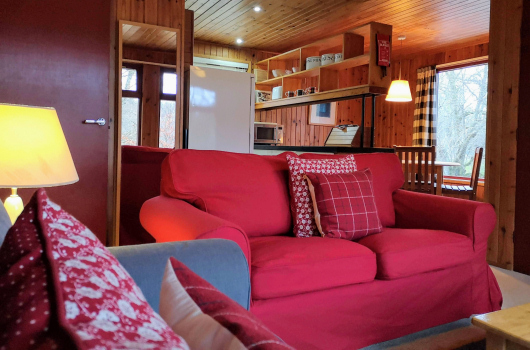 Chalet 1 is on the level, with parking close by for two cars, and has an outside deck with hardwood chairs and a sun lounger. 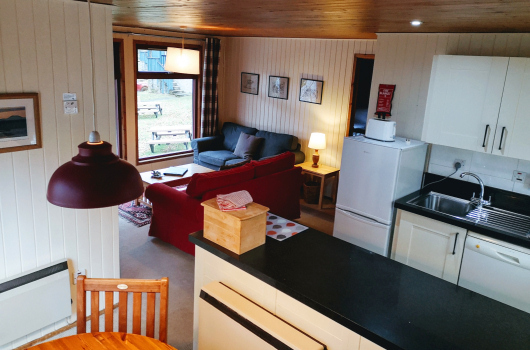 Chalets 21 to 24 each have elevated positions and parking close by for two cars.